Next, we stopped at the Capitol Reef Inn and bought another petroglyph-style etched stone. We had stayed here our first trip to Torrey – our old, but clean room was only $48/night, although the hot tub was dysfunctional and the rooms and plumbing were very outdated. Looking around the place we decided that, if we ever won the lottery, it would be fun to buy this place and fix it up. It has a lot of character but has seen better days. 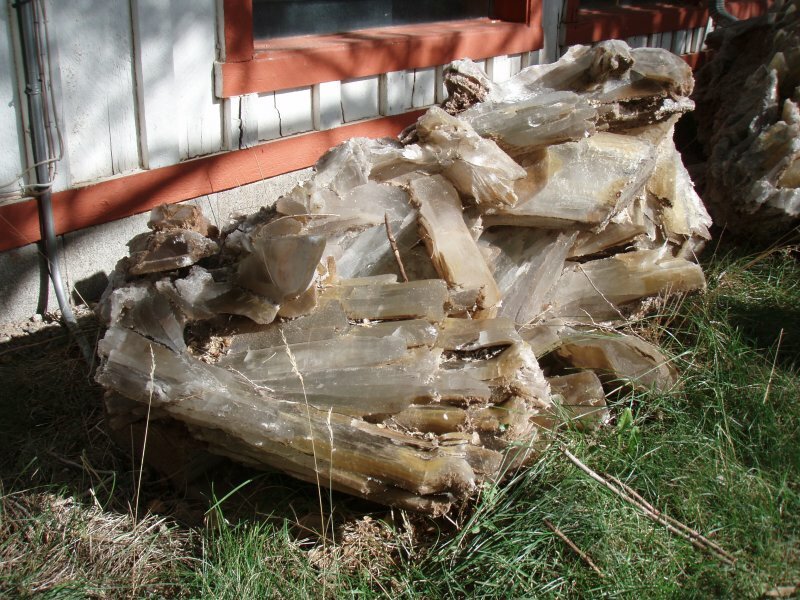 We were awed by the interesting stonework and this giant clump of crystals near the entrance.